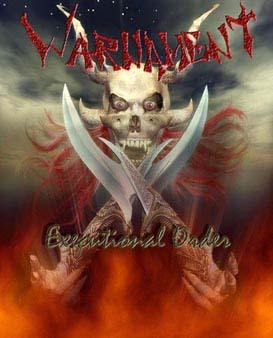 WARNAMENT is formed in January 2007 by Deki and Joco. Out on coffee Deki told Joco about the idea that they talk ago. Deki ask Joco to form a thrash metal band. Joco has accepted that proposal and they form WARNAMENT. Deki asked Caki to be a lead vocal and Daci to be a bass player. At the beginning they don't have a drummer. Later, Daci voluntarily left the band. The band doesn't stop working and record the first demo song called War For Your Name. With this song the band appear in the mkmetal scene. After that, they play on a MKC Festival in Skopje on 10.06.07 with a session members (Stanoja-bass and Vlade-drums-originally keyboard). After that, the bend started to record their second song Slow And Painful Death and Joco voluntarily left the band because of some personal problems. 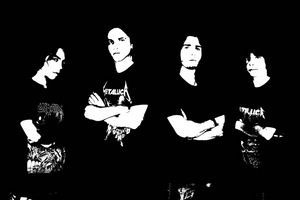 The band get a whole new line-up by joining of Boris - rhythm guitar and Veljo - drums. They start to work hard and record a whole demo titled Executional Order released on 1 September by themselfes. Also, Stanoja joined the band as a bassist. Now they are planing to promote the demo with some gigs.